We’ve been working in India since 1963, and our operations there are both well-established and internationally renowned. Thanks to our donors and partners, we screened more than two million people who were at risk of losing their sight! Our history in India goes back to our founding in 1963 and the work of Dr. Ben Gullison at Arogyavaram Eye Hospital. In 2013, eye health advocacy group Vision 2020 India endorsed our model of Hospital-Based Community Eye Health as a best practice, encouraging all Indian hospitals to adopt our model. In many cases, our partnership with hospitals involves our unique Non-Financial Technical Partnership. In this partnership, our skilled staff offer expert advice, training and evaluation instead of financial assistance. We’ve found that this is the best way to encourage our partners to provide quality, sustainable services. We also deal with rarer forms of blindness. In 2015, with the help of a generous donor family, we opened the world-class Operation Eyesight Universal Institute for Eye Cancer at the L V Prasad Eye Institute in Hyderabad, India. 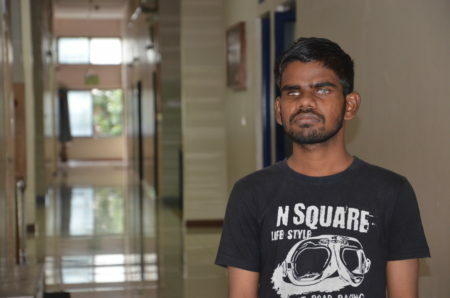 In order to combat the growing incidence of ocular cancer in India, the facility provides quality, comprehensive cancer treatment for children and adults, all at low or no cost to them. Today, Arogyavaram Eye Hospital is self-sustaining and provides services such as comprehensive eye exams, treatment and surgery. Community programs include school screenings, community outreach clinics and eye health awareness programs. We work in many states across India, where we continue to be recognized for our work. Our many Indian partners are all working toward the same goal of ending blindness. We’ve accomplished much in our time in India, but there’s still a great deal to be done. You can help us by donating today! 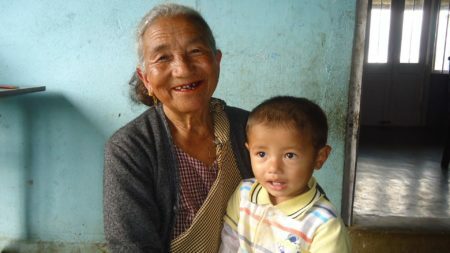 Your legacy gift could transform generations through the gift of sight!